A U.S. citizen from California of Vietnamese descent who had gone missing in Vietnam in early July has been under detention in the country for almost a month, according to his family and a member of Congress. 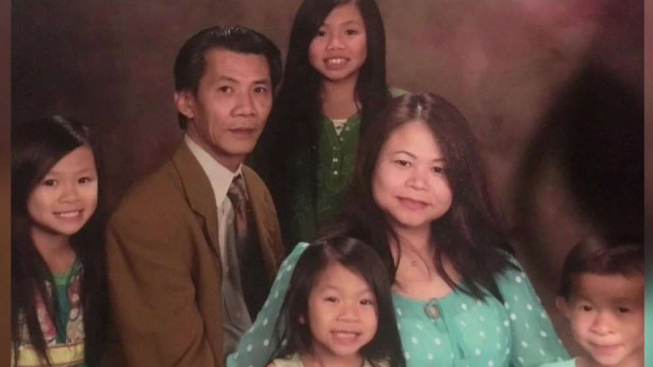 Michael Phuong Minh Nguyen, a 54-year-old father of four who lives in Orange County, was detained on July 7 on his way back to Ho Chi Minh City from Da Nang, Vietnam, according to a statement from the family. They said he is under investigation for "activity against the people's government." "For sure, the family is looking forward to his full release and safe return to his family, his four girls and wife in California," Mark Roberts, Nguyen’s brother-in-law, told NBC News by phone. Nguyen left California in late June to visit friends and family in Vietnam, where he was born, Roberts said.